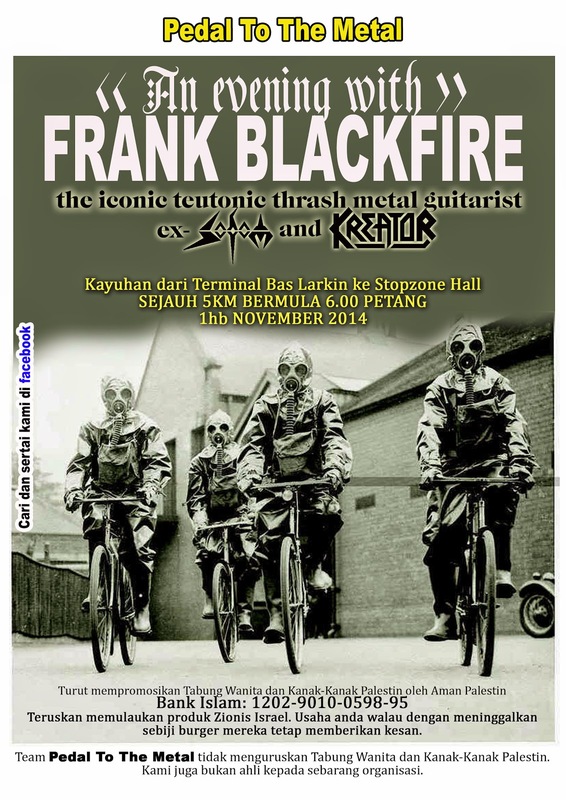 The legendary axeman, Frank Blackfire will be coming to Malaysia for one hard jamming session in Stopzone Hall, Larkin, Johor. In honor to one of German’s thrash metal icon, we will ride again. As usual we still call this as charity ride, beside going to the headbanging gig by bicycle, this time we choose to promote Aman Palestine, Fund for Women and Children of Gaza. Pedal To The Metal are not a member of any mainstream organizations. We’re just bunch of healthy headbangers giving back something positive beside our well known offensive behavior. Ride wild and thrash hard! see u in Larkin, JB bro! 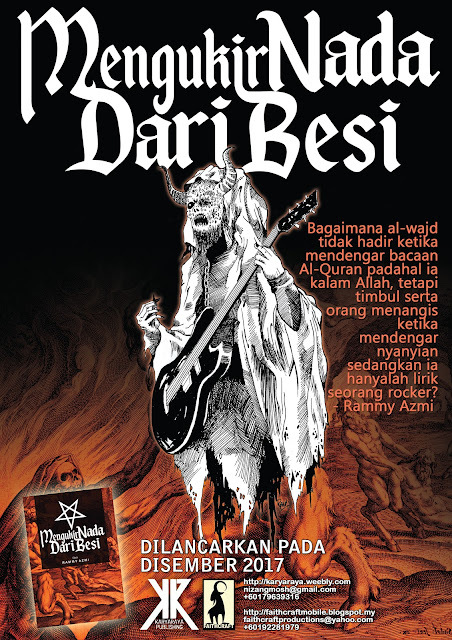 Frank Blackfire Live In JB City Of Rock N Roll bro!